The 2010 AIEA Conference was held Feb 14-17, in Washington DC with over 500 participants from 25+ different countries, which marked AIEA’s largest conference to date. Participants came from diverse countries like Finland, Morocco, Saudi Arabia, South Africa, Cyprus and Brazil. The countries with the largest representation, besides the United Sates, were United Kingdom, Australia, Russia and Canada. The state with the largest representation at the conference was New York, followed by California, North Carolina and Pennsylvania. Nearly two-thirds of the attendees were AIEA members. Another highlight of the conference was the awarding of the Klasek Award to Madeleine Green of the American Council on Education for outstanding service to the field of international education and the awarding of theJosephson Award for outstanding graduate work to Martha Bloehm of The University of Texas at Austin, whose work as a graduate student has focused on the intersection of education policy and sustainable socioeconomic development in developing countries. Martha presented her work in a poster presentation in the exhibit hall during the conference. A special thank you to Awards Committee Chair Joe Tullbane and his committee members for their work on the awards process this year. Members are encouraged to start thinking now about possible nominees for these and other AIEA awards to be given at next year’s conference; a call for awards nominations will go out to members via the listserv this fall. Excellent suggestions were made as to session topics and plenary speakers for next year's conference, as well as suggestions for more networking opportunities, substantive discussions, and logistical input. The feedback from the post-conference evaluations is greatly appreciated, and the 2011 Conference Chair, Susan Buck Sutton, and the Conference Advisory Board will work to incorporate as many of the suggestions as possible into the 2011 conference next year in San Francisco on Feb. 20-23. Please note that the Call for Proposals for the 2011 conference will be sent out later this spring, with an Aug. 15 deadline. The theme of the 2011 conference is Competition and Collaboration in the Global Transformation of Higher Education. 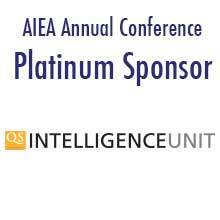 We look forward to your participation at next year’s AIEA conference! Deep appreciation is expressed to all those who made the conference possible including local host universities of Georgetown University and George Washington University, which provided wonderful volunteers at theconference, the conference sponsors and exhibitors, AIEA Conference Chair Bill Lacy and the AIEA Conference Advisory Board, and the session chairs and presenters. A special thank you goes to AIEA’s All-Conference Sponsor Platinum Sponsor, ELS Educational Services, whose generous support helped make this conference possible. Note: For those of you who may want to access some of the presentations (or links to presentations) made in Washington DC, you can find those online on the AIEA website homepage (www.aieaworld.org). An updated attendee list is also available there. Appreciation is expressed to those presenters who shared their presentations and/or links with AIEA. Note that not all presenters submitted presentation materials for the website. Transcripts of all the plenary talks are unfortunately not available. You are warmly invited to participate in the 2010 AIEA Conference on Feb 14-17, 2010 at the JW Marriott in downtown Washington DC. The theme for the 2010 conference is "Internationalizing Higher Education: Essential to our Future." The 2010 Conference Chair is AIEA President-Elect Bill Lacy of UC-Davis. AIEA's Conference Advisory Board consists of Content Subcommittee: Susan Sutton (IUPUI), Maria Crummett (USF), Jim Scott (University of Missouri-Columbia), H. Stephen Straight (SUNY-Binghamton), Everett Egginton (New Mexico State), Jim Cooney (Colorado State), Nick Entrikin (UCLA), Sonny Lim (Singapore); Promotions Subcommittee: Carl Holtmann (ELS), Bertrand Guillotin (Duke), Uma Gupta (USAsiaEdu), Rahul Choudaha (WES), John Deupree (Global Education Solutions), John Hayton (AEI), Nicole Ranganath (UC-Davis), Margaret Heisel (Center for Capacity Building/NAFSA/A.P.L.U). Many thanks to all those who are helping to make this conference possible. The Conference is being managed by the AIEA Secretariat based at Duke University, under the leadership of AIEA Executive Director Darla K. Deardorff. A special word of thanks to the 2010 AIEA Conference Platinum Sponsor: ELS American Education Centers. AIEA invites the submission of proposals for its 2010 conference at JW Marriott in Washington DC on Feb 15-17, 2010. Pre-conference workshops will be held February 14-15. The conference will begin in the afternoon of February 15 and end in the afternoon of February 17. Please carefully read the information in the Call for Session Proposals – very important details are included. The 2010 AIEA Conference will be held on Feb 14-17, 2010 in Washington , D.C. The theme for the 2010 AIEA conference is “Internationalizing Higher Education: Essential for our Future.” As the title implies, internationalizing our campuses will be core to maintaining academic and institutional excellence across all functions of the university. Session proposals, due September 15, 2009, are invited to address internationalizing higher education in the US and globally across the full range of university functions including the following key areas. Public policy to include state, national and international laws and policies and governmental agencies. Multiple Perspectives: We are interested in sessions that include multiple institutions and diverse perspectives. Student perspectives are most welcome. **Note: The abstract and bios submitted are the ones that will be printed in the conference program, should the proposal be selected. Please pay careful attention to word limitations of no more than 75 words for the abstract and 75 words for the bio. Biographies are to be a maximum of 75 words. They may include presenter/s positions, career facts, and major work accomplishments. The biography should be written in the third person and consist of full sentences. Abstracts are to be a maximum of 75 words. Proposals submitted without an abstract, full description, or complete bio information on all presenters will not be considered. FULL SESSION DESCRIPTION (500 word detailed description of your proposed session). Include a content outline which describes the major theme(s), challenges, lessons learned, successes and failures, application possibilities for other institutions, etc. that will be addressed in this session. In addition, include the goals of the session and methodologies to be used. Remember to include time for discussion. If there is more than one presenter, explain what each presenter will discuss. Please be as complete as possible and remember that the content needs to go beyond "here's what we do" to wider applicability, comparative perspectives and "lessons learned." Online proposal fields must be complete in order to continue with the proposal submission - if you are unable to continue with the submission, it is most likely because you did not provide the necessary information required. BE SURE TO SAVE A COPY OF THE PROPOSAL BEFORE SUBMITTING IT TO AIEA ! Yes, you should be prepared to bring at least 50 copies of your handouts to the conference. Handouts are strongly recommended. 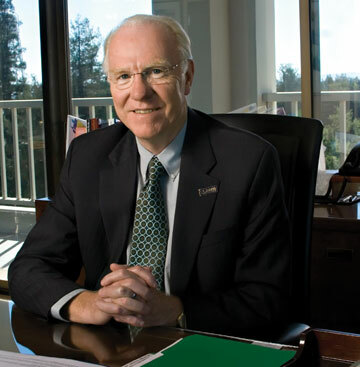 Larry N. Vanderhoef was appointed chancellor of the University of California , Davis , in April 1994. UC Davis, with some 30,000 students, is one of 10 UC campuses and one of a select group of 62 North American universities admitted to membership in the prestigious Association of American Universities (AAU). He joined the campus in 1984 as executive vice chancellor and provost. During his tenure as chancellor, the campus was invited to membership in the AAU; increased its extramural awards from $169.1 million to $586 million annually, earning a National Science Foundation (NSF) research funding ranking of 10 th in the U.S. among public universities; increased private gifts from $40 million to more than $200 million a year, with more than $1 billion cumulatively raised in support of programs; expanded classroom, lab, clinical and office space by 6 million square feet; completed the transformation of an ailing county hospital to an academically distinguished and financially sound regional medical center; and made distinctive strides in recruiting a diverse and accomplished faculty and student body. Student enrollment grew from 22,000 to more than 30,000, and the faculty increased by 44 percent. Chancellor Vanderhoef was honored by the Sacramento ( California ) Business Journal as one of the 20 people who have contributed most substantially to California 's capital region over the past 20 years, and Valley Vision presented him with its 2009 Legacy of Leadership Award. As well, the Sacramento Metropolitan Chamber of Commerce named him Sacramentan of the Year in 2004, and the Arts and Business Council of Sacramento presented him with its Prelude to the Season Outstanding Contribution Award in 2003. The 2006 Northern California International Leadership Award was presented to him by the Northern California World Trade Center and the California Business, Transportation and Housing Agency in recognition of his efforts to increase the campus's international engagement. Also that year, he was elected an honorary member of the World Innovation Foundation. In 2004 he led a UC Davis delegation to Iran in an effort to promote dialogue and scholar exchange, and to promote generally the notion of crossing boundaries to build greater understanding and good will – a continuing personal and professional effort. He returned to Iran in November 2008 as part of a small delegation of AAU presidents. His research interests lie in the general area of plant growth and development, and in the evolution of the land-grant universities. He has taught classes from freshman level to advanced graduate study. Chancellor Vanderhoef has served on various national commissions addressing graduate and international education, the role of a modern land-grant university and accrediting issues. He holds B.S. and M.S. degrees in biology from the University of Wisconsin , Milwaukee , and a Ph.D. in plant biochemistry from Purdue University . Previously, he held faculty positions at the University of Illinois , where he also served as a department head, and at the University of Maryland , College Park , where he was appointed provost. Early in his career, he was named an Eisenhower Fellow, a recognition awarded to emerging leaders from around the world to promote positive relationships and interactions between countries. He was awarded honorary doctoral degrees by Purdue University and by Inje University in Korea , and an honorary professorship of China Agricultural University . 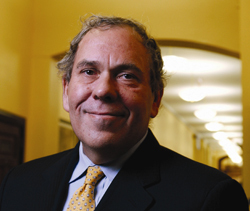 Arthur Levine is the sixth president of the Woodrow Wilson National Fellowship Foundation. Before his appointment at Woodrow Wilson, he was president and professor of education at Teachers College, Columbia University . He served previously as chair of the higher education program, chair of the Institute for Educational Management, and senior lecturer at the Harvard Graduate School of Education. the Carnegie Foundation and Carnegie Council for Policy Studies in Higher Education (1975-1982). He received his bachelor's degree from Brandeis University and his Ph.D. from the State University of New York at Buffalo . Dr. Levine is the author of dozens of articles and reviews. His most recent book is When Hope and Fear Collide: A Portrait of Today's College Student (with Jeanette S. Cureton). Among other volumes are Beating the Odds: How the Poor Get to College (with Jana Nidiffer) , Higher Learning in America; Shaping Higher Education's Future; When Dreams and Heroes Died: A Portrait of Today's College Students; Handbook on Undergraduate Curriculum; Quest for Common Learning (with Ernest Boyer); Opportunity in Adversity (with Janice Green); and Why Innovation Fails. Much of his research and writing in recent years has focused on increased educational opportunity and strengthening schools of education. Dr. Levine's opinion editorials appear in such publications as The New York Times; The Los Angeles Times; The Wall Street Journal; The Washington Post; The Chronicle of Higher Education; and Education Week. Dr. Levine has received numerous honors, including a Guggenheim Fellowship and a Carnegie Fellowship, as well as the American Council on Education's “Book of the Year” award (for Reform of Undergraduate Education) , the Educational Press Association's “Annual Award” for writing (three times), and 17 honorary degrees. He currently sits on the Board of DePaul University, and Say Yes to Education. He is a member of the American Academy of Arts and Sciences. 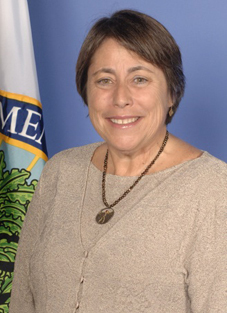 Martha J. Kanter was nominated by President Barack Obama on April 29, 2009, to be the under secretary of education and was confirmed by the Senate on June 19, 2009. In this position, she reports to Secretary of Education Arne Duncan and oversees policies, programs, and activities related to postsecondary education, vocational and adult education, and federal student aid. From 2003 to 2009, Kanter served as chancellor of the Foothill-De Anza Community College District, one of the largest community college districts in the nation, serving more than 45,000 students with a total budget of approximately $400 million. She is the first community college leader to serve in the under secretary position. In 1977, after serving as an alternative high school teacher at Lexington High School in Massachusetts, the Public Schools of the Tarrytowns (N.Y.) and later at the Searing School in New York City, she established the first program for students with learning disabilities at San Jose City College (Calif.). She then served as a director, dean and subsequently as vice chancellor for policy and research for the California Community Colleges Chancellor's Office in Sacramento, returning to San Jose City College as vice president of instruction and student services in 1990. In 1993, she was named president of De Anza College and served in this position until becoming chancellor. Kanter has served as a board member or officer in a wide variety of national, state, and local organizations, including the League for Innovation in the Community College, the Community College League of California, Joint Venture: Silicon Valley Network, Inc., Peninsula Open Space Trust, the Hispanic Foundation of Silicon Valley, the Mexican Heritage Corporation, the Rotary Club of Palo Alto, and the California Association of Postsecondary Educators of the Disabled. Kanter has been recognized for her work numerous times in California, including being named Woman of the Year by the 24th Assembly District, Woman of Achievement by San Jose Mercury News and the Women's Fund, and Woman of the Year for Santa Clara County by the American Association of University Women. In 2003, she received the Excellence in Education award from the National Organization for Women's California Chapter. In 2006, she was honored for diversity and community leadership by the Santa Clara County Commission on the Status of Women, and in 2007, the American Leadership Forum-Silicon Valley honored her with the John W. Gardner Leadership Award. Last year, Kanter received the Citizen of the Year award from the Cupertino Chamber of Commerce. Kanter holds a doctorate in organization and leadership from the University of San Francisco. Her dissertation addressed demographic, institutional, and assessment factors affecting access to higher education for underrepresented students in California's community colleges. In 1994, she opened the first Advanced Technology Center in California's community college system and promoted local and state policies to advance Foothill-De Anza's legacy of excellence and opportunity for California's expanding and increasingly diverse student population. She received her master's degree in education with a concentration in clinical psychology and public practice from Harvard University, and a bachelor's degree in sociology from Brandeis University. 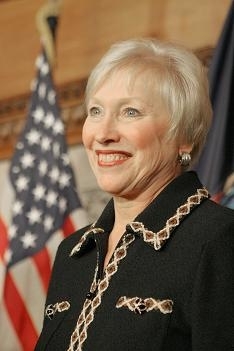 On June 1, 2009, Dr. Zimpher became the 12th Chancellor of the State University of New York by unanimous vote of the SUNY Board of Trustees. With more than 440,000 students, SUNY is the nation's largest comprehensive public university system. A dynamic and nationally-recognized leader, Chancellor Zimpher is known as an effective agent of change in higher education. The Chancellor began her career as a teacher in a one-room schoolhouse in the Ozarks and has never lost her passion for providing accessible, quality education for every student. As the first academic in recent memory to be appointed Chancellor, she is also the first woman to serve in this capacity in the system's 60-year history. As President of the University of Cincinnati, Dr. Zimpher led a bold, aggressive strategic planning process, UC|21: Defining the New Urban Research University, which transformed the campus into a national powerhouse and a model for urban universities in the 21st Century. Under her leadership, UC's retention and graduation rates, student satisfaction ratings and national rankings all improved. Prior to her tenure at UC, Dr. Zimpher served as chancellor of the University of Wisconsin-Milwaukee, and Executive Dean of the Professional Colleges and Dean of the College of Education at The Ohio State University. Chancellor Zimpher began her work at SUNY with a statewide tour of SUNY's 64 campuses, and has engaged a strategic planning process for the SUNY system that will serve as a model for statewide collaboration for public higher education in New York State and beyond. She has authored or co-authored numerous books, monographs and academic journal articles on teacher education, urban education, academic leadership, and school/university partnerships. Chancellor Zimpher holds a bachelor's degree in English Education and Speech, a master's degree in English Literature, and a Ph.D. in Teacher Education and Higher Education Administration, all from The Ohio State University. Chancellor Zimpher also chairs the Coalition of Urban Serving Universities Board; is a past chair of the National Association of State University and Land-Grant Colleges Board of Directors; and is a member of the National Board for the Fund for the Improvement of Postsecondary Education. She is married to Dr. Kenneth R. Howey, a nationally recognized expert and researcher in teacher preparation, particularly in urban settings. Dr. Zimpher has one son, Fletcher, and two step-sons, Mark and Michael. Online Registration is now closed; please register onsite. Updated participant information will be available at the conference. Register online for the 2010 AIEA Conference on Feb 14-17, 2010 in Washington DC. Join AIEA for 2010 (membership year is Jan 1 - Dec. 31) and save at least $100 on 2010 conference registration. To join, go to www.aieaworld.org and click on member services. Once you join and pay, your membership will be activated and you will be able to register for the conference at member rates after that time. Note: If you are unsure about your membership status, please contact AIEA Registration Headquarters at 1-800-351-0232 or 1-952-767-1299 or [email protected]. Please remember that AIEA membership is on a calendar year basis, January 1 through December 31. If you register incorrectly, you will be billed the difference. (Full conference registration includes name badge, conference materials, all conference sessions, 2 receptions, 1 breakfast, 2 luncheons, and coffee breaks.) NOTE: Pre-conference workshops are an additional, separate charge from the conference registration fee. Registration fees are refundable, less a $75 processing fee, up until January 14th. No refund will be issued for cancellations starting January 15, 2010. Registrations are transferrable until January 14th with a $50 administrative transfer fee. Starting January 15th, transfers will not be accepted. AIEA is not responsible for problems beyond our control such as weather conditions, campus conditions, travel difficulties, health issues, etc. No refunds will be given in these situations if occurring after Jan 14. Note: Advertising Details (at the bottom) - Limited sponsorships also available! Thank you for considering the opportunity to exhibit at the 2010 AIEA Conference on Feb. 15-17 in Washington DC. Several hundred senior-level leaders in international education from across the US and the world will participate in this conference. These leaders and professionals recognize the benefits of networking with organizations in the promotion of international education on their campuses. Exhibitors have the unique opportunity to share information about their organizations with these senior-level leaders and key decision makers. AIEA limits the number of exhibitors in order to maximize exhibitors' time with conference participants. All conference breaks will be held in the exhibit area, so as to ensure quality interaction time. Please note that exhibitor registration covers one exhibitor and includes a conference registration. Additional exhibitors will need to register separately for the conference. Note: One exhibit table per organization. Exhibitor Fee: $1200/booth - includes exhibit table and 2 chairs, one exhibitor with full conference registration. Note: Additional persons at the booth will need to register separately for the conference. One exhibit table per organization. Set Up Details: Exhibitors will set up on Monday afternoon, Feb 15, 2009. Exhibits will be open to attendees from Feb 16 through Feb 17. The opening ceremony is Feb 16 in the morning. Take down will start after lunch on Feb 17. Please leave exhibits up through 12 noon on Wednesday Feb 17. Advertising Information: Full-page ads are also available in the conference program (which will stay online for the next year). Contact [email protected] as soon as possible if interested in placing an ad in the conference program. Sponsorships: Limited sponsorships are also available - conference sponsors have even greater visibility with senior leaders in international education. Higher-level sponsorships include complimentary exhibit space. Contact [email protected] for further details. In order to provide exceptional service in the shipping and receiving of parcels and the delivery of them to your group, exhibitors and convention attendees, the following guidelines have been established by the JW Marriott, Washington DC. Please share these with any exhibitors or anyone else who will be shipping or having deliveries made to the hotel. 2. Please send shipments and deliveries so that arrive no more than 3 days before the start of your meeting or event (in this case, no earlier than Feb 12). All shipments and deliveries arriving earlier will be subject to the storage fees listed below. 3. Please bring a list with all of your shipment’s tracking numbers and the name of the individual to whom the package is addressed, so that any missing parcels can be located. 5. All outgoing shipments must be properly labeled with a return address, a delivery address and a contact phone number for the sender. An account number for the delivery service of choice or the sender’s credit card number and expiration date must be included to ensure proper charges by the shipping company. AIEA and sponsor ELS are pleased to announce the 1st Global Dialogue February13, 2010 in Washington DC at American University. Based on the highly successful Transatlantic Dialogue and Dialogue of the Americas, this interactive and participant-centered seminar brings together senior international education leaders from around the world to discuss common issues and challenges. The Global Dialogue will focus on East-West, North-South issues, research collaboration, student and faculty mobility, and joint programs. For more details, please click here (No longer available). Getting an SIO’s job isn’t the end of the story. As international education leaders, we need to continue to grow, develop, and respond creatively to an ever-changing professional context. This workshop focuses on several key areas of interest to all SIOs, whether you are newly appointed, or ready for a change after many years in one place. communicating your skills, experience, and vision to others. institution’s character (including checking out a potential new workplace), presenting yourself professionally to others, and dealing with relationship issues on the job, including personal and professional failure. The workshop will be highly interactive, and will be oriented toward people who now occupy positions of leadership in international education, whether as an overall SIO, or as the leader of a significant section of international activity within a larger structure. the Yong Siew Toh Conservatory at the National University of Singapore, Vice Provost for International Programs at the University of Virginia, and Vice President for International Affairs at Brown University. She is currently working on the search for the Director of the Asian Civilisations Museum, one of the national museums of Singapore. A graduate of Phillips Academy and Middlebury College, she also holds a master’s degree in international relations from the Fletcher School of Law and Diplomacy at Tufts University. Dr. Riall Nolan is a Professor of Anthropology at Purdue University, and until July of 2009, Associate Provost and Dean of International Programs there. Trained as a social anthropologist (PhD, University of Sussex 1975), Dr. Nolan has managed international programs at both the University of Pittsburgh and the University of Cincinnati before joining Purdue in 2003. At Purdue University, his office oversees study abroad, international students and scholars, strategy and policy development for overseas activities, and the development of international linkages. In 2005, Purdue University won NAFSA’s prestigious Simon Award for international education. Nolan is active in both NAFSA and AIEA, and presents frequently on issues of international education practice and strategy. Identify ways to evaluate and assess an international fund-raising program. Gretchen Dobson, has spent the last 17 years working in Boston’s higher education scene. From 1992 to 2001, Gretchen spent her first years on campus working in student activities and residence life. For the last 7 years at Tufts, Gretchen has led the effort to build a worldwide alumni regional chapter network. In 2002, there were 12 active groups; today, there are 55. As Tufts' Senior Associate Director for Domestic and International Programs in the Office of Alumni Relations, Gretchen travels the world to facilitate the work the alumni chapters located in U.S. and international cities. She also works as a development officer in select international markets. In 2007, Gretchen and her staff were recognized by CASE with a national Gold Award for creating and producing "Tufts World Day," a world-wide, large scale event involving over 1,000 alumni in twelve countries. In 2008, Gretchen received the “Rising Star” Award from CASE District 1 and, in 2009, Tufts received a CASE national silver award for their programming strategy in NYC. Gretchen is the author of a chapter on “Programming Internationally” for the second edition of Alumni Relations: A Newcomer’s Guide to Success (2009, CASE Books) and is currently writing the first book on International Alumni Relations (expected publication date 2010, CASE books). Gretchen received her B.A., from Boston College in 1991 and her M.A. in Higher Education from Boston College’s Lynch School of Education in 1995. Robert A. Kerr is Assistant Vice Provost, International Alumni and Development at the University of California, Davis, effective July 2001. He is responsible for developing and implementing programs that identify, cultivate, and sustain UC Davis' relationships with its international alumni and scholars, linking them to UC Davis educational, research, and public service programs abroad. In cooperation with existing efforts in several colleges and departments, he coordinates campus visits by international scholars and dig­nitaries. Moreover, he coordinates and facilitates official UC Davis international travel. Finally, he identifies, cultivates, and presents propos­als for financial gifts to prospective donors to the UC Davis international initiatives. Assistant Vice Provost Kerr joined UC Davis in 1972 and has served in student affairs (housing, and student programs and recreation), university relations (development and alumni relations) and now the Office of the Chancellor and Provost.He serves on the Board of Directors of the Council for Advancement and Support of Education and is a frequent presenter at professional and student leadership conferences. He has been pub­lished in student services and alumni relations books. For three decades, he has coordinated and taught time management and study skills workshops and classes through life-long learning university programs. This half-day workshop, offered as the 4th annual IIE/AIEA pre-conference workshop, aims to provide senior international education administrators with insights into current internationalization efforts in Middle East countries and institutions, whose presence in the international education arena present opportunities for academia and students to further engage with this vitally important region of the world. Participants will be able to use the information and strategies learned to strategically plan for increased collaboration between their institutions and their counterparts in the Middle East. Drawing on examples of best practice programs, including study abroad, faculty and student exchange programs and branch campus programs, the facilitators and presenters will highlight the need for increased networking and collaboration between U.S. institutions and institutions in Middle East countries. The workshop will also focus on strategies, resources and recommendations for participants to enhance institutional relationships, and more broadly, their own understanding of the internationalization climate in the Arab world. IIE will provide background to the workshop based on Middle East-related mobility data collected through the 2009 Open Doors Report and Project Atlas, related findings from its recently released white paper on "Expanding U.S. Study Abroad in the Arab World: Challenges and Opportunities", and other relevant IIE projects in the region. The presenters will also over a cross-section of international higher education updates from the region, as presenters will include institutional administrators that oversee programs in the Middle East, senior staff from U.S. embassies, and IIE staff with expert knowledge of the region. Higher education institutions are defining global learning outcomes they deem essential for college graduates to thrive in an interconnected world. While such outcomes are often associated with study abroad programs, they are not always integrated into the curriculum—the core location for undergraduate learning. In this workshop, leading global learning advocates will help participants identify central global learning goals and match those goals with best practices of course and curricular design. Using examples from the field and from AAC&U's Shared Futures: General Education for Global Learning project, participants and facilitators will explore what really counts as global learning. Dr. Harvey Charles currently serves Vice Provost for International Education and Director of the Center for International Education at Northern Arizona University . As the Senior International Office, Dr. Charles has been preoccupied with providing institutional leadership on strategic planning around global education and working to implement the recommendations of a recently concluded Task Force on Global Education. He has been busy building a more comprehensive infrastructure to support global education on the campus. In addition, he has been developing strategic alliances with partners around the world to create new opportunities for study, teaching and research for NAU students and faculty as well as for the export of academic programs. He earned his Ph.D. in Higher Education and Student Affairs from The Ohio State University in 1991 and has been employed as an international educator at various colleges and universities across the United States since then. Kevin Hovland earned a BA in Russian Regional Studies from Columbia University and is ABD in History at Georgetown University. He is Director of Global Initiatives and Curricular Change at AAC&U, working in the office of Diversity, Equity, and Global Initiatives. He is responsible for the Shared Futures initiative, with current projects funded by the Henry Luce Foundation and the Fund for the Improvement of Postsecondary Education. Current projects encourage colleges and universities to use global learning outcomes as an organizing principle for coherent and comprehensive general education curricular designs. Hovland is the author of the AAC&U monograph, Shared Futures: Global Learning and Liberal Education as well as several articles further articulating global learning as an essential outcome of liberal education. He is also program director for AAC&U's annual meeting, project director for The Educated Citizen and Public Health , and executive editor of Diversity & Democracy: Civic Learning for Shared Futures , an AAC&U periodical designed to provide campus practitioners with readily available information about successful diversity initiatives around the country and to support academic leaders and educators as they design and reshape their diversity programs, civic engagement initiatives, and global learning opportunities to better prepare students for principled action in today's complex world. Caryn McTighe Musil is the Senior Vice President at the Association of American Colleges and Universities (AAC&U) and oversees the Office of Diversity, Equity, and Global Initiatives. Dr. Musil currently co-directs “Shared Futures: General Education for Shared Learning ,” which seeks to infuse global learning across general education. She also collaborates with the Council of Europe to further the global aspect of civic engagement so that institutions can foster student learning about democratic cultures and human rights. Dr. Musil received her B.A. in English from Duke University and her M.A. and Ph.D. in English from Northwestern University. SIO 101 is a primer for newly appointed or aspiring Senior International Officers (SIOs). Experienced SIOs will address internationalization of a campus, resources, and political, leadership, and managerial roles of the SIO, as well as the transition necessary from study abroad, ESL, or international student work to this position. This workshop is ideal for those with 1-3 years experience as an SIO. Hotel Info: The 2010 AIEA Conference will be held on Feb 14-17, 2010 at the luxurious J W Marriott Pennsylvania Avenue in downtown Washington DC. AIEA has secured a special conference room rate - to get the special conference rate of $205.00, be sure to make reservations by January 12, 2010. To make reservations, please call directly to 1-800-266-9432. For hotel information only call 1-202-393-2000. International callers can make reservations by calling 1-506-474-2009. To ensure that you will have a room at this special rate, please reserve your room as soon as possible.